It's been awhile since we featured a serious European boutique Strat-type. Check out Ufnal Custom Guitars & Pickups of Malbork, Poland. 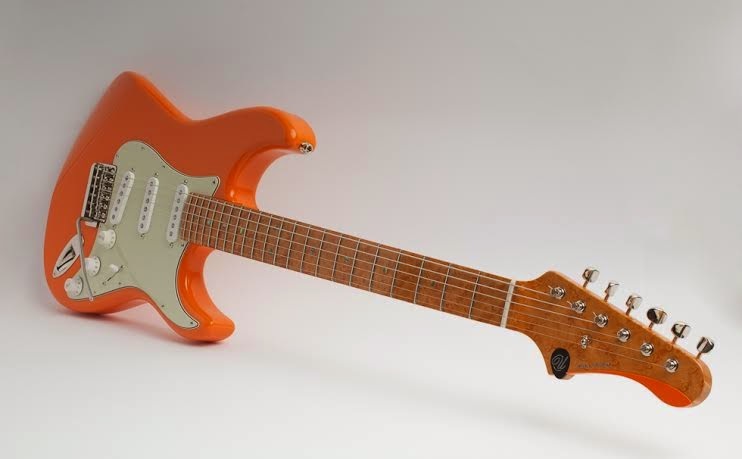 Besides their stunning "Juicy Orange" S model here, Ufnal hand builds a variety of models based on the iconic platforms of Fender, Gibson & PRS. Something for everyone, right? 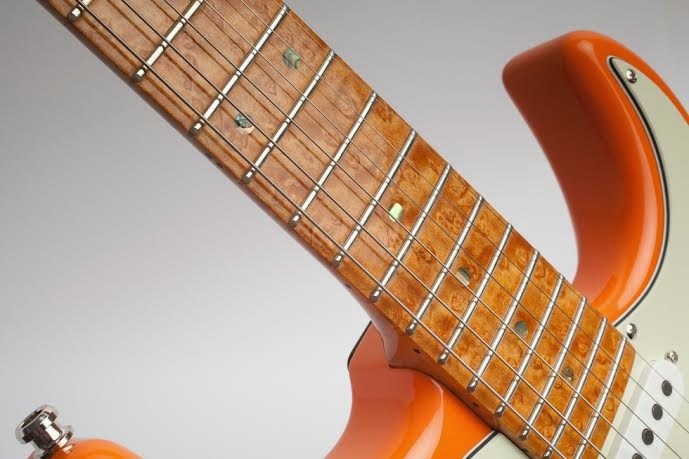 Obviously, I'm in love with the Juicy Orange here and her magnificent birdseye maple neck sporting a deep shade of orange that makes orange the new black. 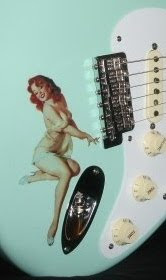 The neck is a "rounded V/C" with 12" radius & 22 frets; a profile that sounds similar to an EJ Strat. Ufnal makes their own pickups, so check the vids and audio samples at the site. 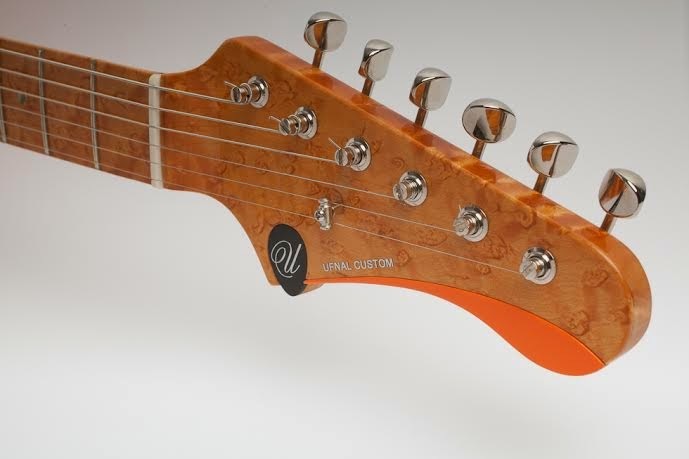 The classy headstock logo inset and accents are fully intent on giving this guitar it's own identity. Andy Preston of Wudtone let me know about Ufnal, who are using Andy's Holy Grail "Constant Pivot" bridge which looks just like a standard Fender bridge but functions more smoothly. Go check the website! It's a great site with plenty of specs and beautiful photos of the entire Ufnal guitar line. Use their contact form for any questions or inquiries. They're also on Facebook.